Third time lucky perhaps for a proposed fast ferry service from Weymouth, a much needed boost for the port, and a crossing time to challenge the Dover Strait. 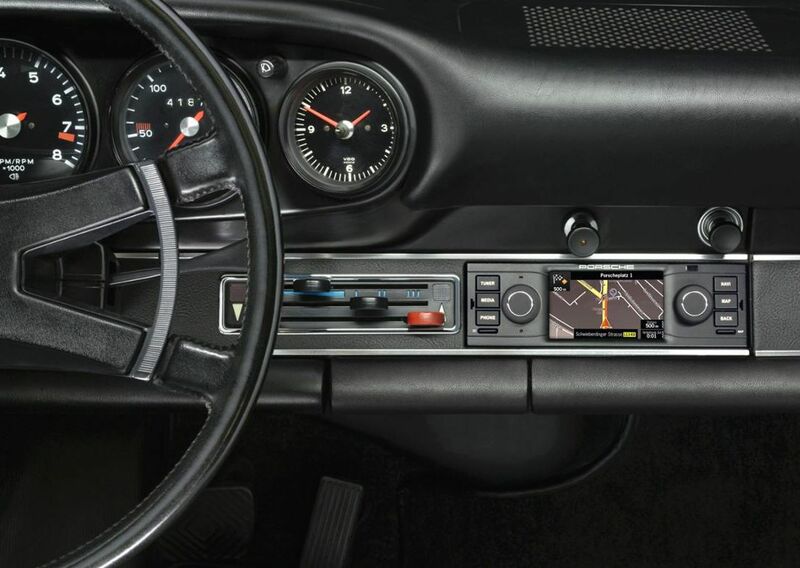 Also, Porsche produces a snazzy retro-satnav unit for its early cars. An unhealthy crop of drivers fall foul of a speed blitz in eastern France. Spanish trucker fined £2k on-the-spot in the UK. EU pays to upgrade Denmark chargers. Serbia drink drive limit lowered as a van overloaded with illegal immigrants crashes near Lescovac. Brittany Ferries new no-frills ship is available to book, and it is revealed 2014 was another – very – good year for DFDS, even on the English Channel despite the continuing legal saga about over-capacity. Crossing time to rival Dover-Calais. A proposed new fast ferry crossing between Weymouth and Cherbourg will challenge Dover-Calais for journey time claims the operator. HighSpeedFerries.com aims to start the route in the autumn ahead of a thrice daily service beginning next summer. At two hours, the crossing time would rival the ninety minute Dover-Calais sailings. A new ferry service would be a timely boost for Weymouth as Condor Ferries prepares to withdraw next month in favour of Poole. The local council is set to discuss the plan on Thursday. This would be the third attempt for HighSpeedFerries.com to get the service off the ground having tried previously in 2011 and 2012. Despite the name the company website does not appear to be working. A prospectus last year – regarding a Portland-Cherbourg service to be run by HighSpeedFerries – said the company was looking for a £4.5m investment in exchange for 80% of the business. Porsche has gone to the trouble of designed and building a retro-style satnav to fit, in every sense, its early cars. The unit – which includes a radio, 3.5 inch touchscreen and Bluetooth connection for smartphones – plugs into the standard DIN socket used in every car from the first 911 in the 1960s to the 993 in the mid-1990s and all front, mid and rear-engined models in between. Powered by an 8GB microSD card with arrow, 2D or 3D display, Porsche says it has been tested on numerous trial journeys around Europe. Available now in Germany, in two versions, at €1,184. roundup: FRANCE. A 24 hour speed blitz in the Bas-Rhin region in Alsace last week netted a rather large-sounding 559 drivers reports 20minutes. Two were over the limit by more than 50kmh, and eighteen between 40-50kmh, the two highest categories where driving licences are at risk/certain of being confiscated. TRUCKS. Cheshire police found a Spanish truck had manipulated the tachograph to hide movement this morning. The vehicle was immobilised for 24 hours and the driver forced to pay €1,880 in fines and fees says HGV Cop @M6_Patrol. ELECTRIC VEHICLES. More than €1m in EU money will be spent upgrading 40 of 46 Danish charging stations (€25k+ each) to interoperable fast chargers by 31 December, ‘to allow different types of electric vehicles from all over Europe to travel freely in Denmark and serve as best practice to other European countries,’ it says in a statement. SERBIA. The blood alcohol limit is being reduced from 0.3mg/ml to 0.2mg/ml. Meanwhile ‘young people’ will also be barred from driving cars with more than 107hp to counter a recent spate of ‘horrible’ accidents reports B92.net. Meanwhile, forty illegal immigrants were injured this morning, several critically says dw.de, when the van they were in swerved off the motorway at Lescovac, 190 miles south of Belgrade. From Bangladesh, Nigeria and Syria, the migrants are believed to have crossed the border from Macedonia. CROSSING THE CHANNEL. Brittany Ferries new ‘economie’ no-frills UK-France-Spain ferry ‘Baie de Seine’ is now available to book with first sailings on 11 May (UK-France). The cut-price crossings – from £79 each way two+car – started last year with sister ship Etretat, proved wildly popular and were quickly booked up for the entire summer. Also, another good year last year for DFDS as turnover rose by 6% (to $1.95bn) and the profit measure by 18% (to $218m). ‘The North Sea, English Channel and acquisitions were the primary drivers of improved performance,’ it said, interesting since a prime mover behind the still on-going Eurotunnel/MyFerryLink competition case is the supposed over-capacity on the English Channel, specifically Dover-Calais. However, DFDS says, ‘most of the growth [of 9%] was achieved on Dover-Dunkirk’. so what is the latest news about the ferry service Weymouth to Cherbourg?